For the first time in five years real estate assessments haven risen in Virginia Beach. According to a release by the City of Virginia Beach, the average assessed value for all properties in the city saw a 3.6% overall increase from the current assessment. The average residential home, detached and attached, saw almost a $7,000 dollar increase. According to Residential Data Bank, last year in Virginia Beach we saw existing home closings up 8.2% with an increase of home prices up 5% compared to 2012. New homes prices were slightly down, 1.1% from 2012 but closings increased to almost 7%. 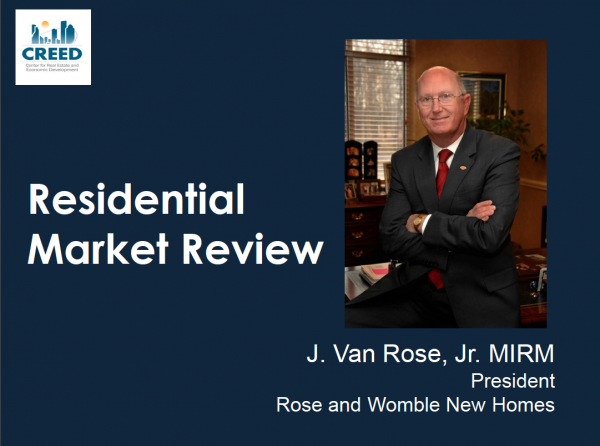 These numbers are not surprising especially after reviewing Rose & Womble New Homes and Enterprises President Van Rose’s 2014 Residential Market Review for the Center for Real Estate and Economic Development (CREED). According to data obtained by the Real Estate Information Network (REIN) and interpreted by Rose & Womble, sales for homes increased overall in the Hampton Roads market in 2013. Existing homes had an increase of almost 11% with an average price increase of almost 4%. New homes also saw growth with closings up almost 6% and prices up almost 5%. Another interesting fact is that inventory for Hampton Roads overall is down 1%, while interest rates climbed up 1%. What this means is that while the City of Virginia Beach is finally ready to say the market is beginning to rebound within the world of Residential real estate we can show that it has indeed rebounded, it continues to recover, and now is a great time to consider putting your home on the market.